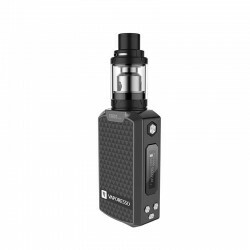 Vandy Vape have released the Simple Ex Squonk Kit which is a rebuildable device intended for use with nicotine salts. The RDA has an adjustable bottom airflow which gives you the options of a 2.5mm – 0.6mm airflow option depending on your preference. It is easy to build on and comes equipped with a leak proof 510 connector! 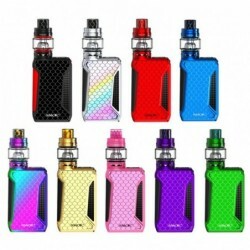 The mod encases a 4ml squonking bottle which is easily detachable from the main body of the device. The Vandy Vape Simple EX Squonk Mod is paired up with the Simple EX RDA to create a simple and easy to use squonking experience. 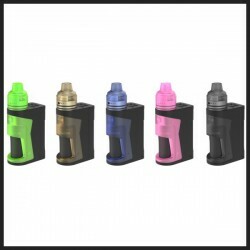 The Simple EX is one of the most smallest and portable squonk capable devices available. 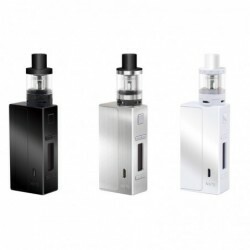 The Simple EX is powered by a built-in 850mAh battery and features adjustable voltage levels. The Simple EX RDA features a single coil build deck that is easy to build on and use. The Simple EX RDA is optimized for nicotine salt based e-Liquid due to six airflow hole design which you may adjust depending on what kind of nicotine level you are vaping at. The Simple EX RDA includes multiple accessories to personalize your vaping experience such as a stainless steel cap, a 510 PC drip tip, and a 510 delrin drip tip. The Simple EX RDA is squonk ready and comes pre-installed with a bottom feeding squonker pin.